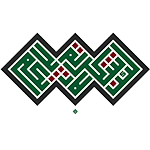 FreeIslamicCalligraphy.com is a non-profit website owned by the Prince Ghazi Trust for Qur’anic Thought, an Islamic charity (waqf) set up by H.R.H. Prince Ghazi bin Muhammad bin Talal in 1433 AH / 2012 CE. 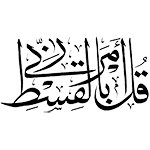 Having noticed that the Divine Names, key Qur’anic verses and sacred formulas were not available free online in the most perfect and beautiful styles of Arabic calligraphy, the Prince Ghazi Trust for Qur’anic Thought commissioned prize-winning calligrapher Mothana Al-Obaydi and other calligraphers to draw them and digitize them onto ‘Word documents’ so that they can be adapted, coloured and printed out by anyone according to their taste from FreeIslamicCalligraphy.com. (See Copyright Notice at the bottom of this page). Thus, instead of paying for decorating their home with drawings or Western posters, or instead of paying for expensive name-brand calligraphy, any Muslim in the world can adapt the most beautiful pieces of calligraphy and decorate his or her home with it for the price of a piece of a paper. This, God willing, will not only make people’s homes more beautiful, but also their lives more beautiful as they see and remember God’s Name more often. 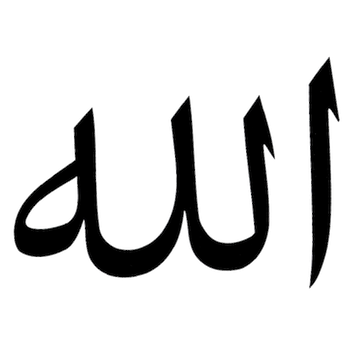 The website also allows people to upload their own samples of calligraphy to it in order to make it a hub for free Islamic and Qur’anic Calligraphy. Please help us by uploading beautiful traditional pieces of Islamic Calligraphy (we prefer classical Islamic calligraphy rather than modern calligraphic art by Muslims). Make FreeIslamicCalligraphy.com a gift of truth and beauty to the world in sha Allah. We reserve the right not to post uploaded calligraphy if the style is not traditional, if it is not posted as a word document or if it is signed—we do not post signed documents.